You’ve probably heard this one a few times over the past decade. If you have any contact with Free Culture, you probably hear it every week or so. Articles condemning free culture are a dime a dozen, and they all come down to the same thing: we need to make money and we can’t make money if we give away our work. Yet this is demonstrably false. Businesses do give away their products and they do make money doing it. One of the conundrums of contemporary business is that the best marketing is word of mouth but word of mouth cannot be purchased off the shelf. The Internet has given many businesses both traditional and disruptive a chance to get in on the word of mouth game to promote their work and thrive financially. One of the methods in this quest has been using the Creative Commons. Creative Commons licenses allow one’s work to spread far and wide, well beyond what one could easily do personally. In some cases it has been far more successful than traditional models. But until now there has never been a comprehensive book on how using the Creative Commons licenses can make for a financiallysuccessful business. 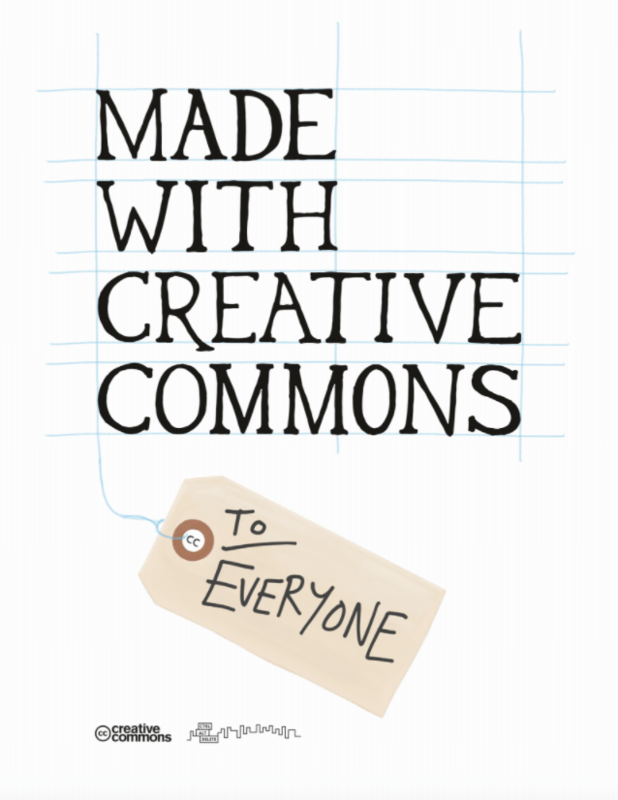 Made with Creative Commons explores two dozen different businesses and how the Creative Commons has worked for them. No theory here: just twenty-four different ways the commons has helped become a solid foundation for business in the 21st Century. But more than being just about business, it is about sharing. Sharing, it happens, is good for business. But it has more benefits than that. It fosters creativity and community at a time when both of those are at a premium. We at The Star have backed this project since the authors first announced it on Kickstarter. Officially, Made With Creative Commons becomes available May 5th for download and for sale in paperback format. But we decided we would give you a headstart. Because it’s important to share. Download Made with Creative Commons here.